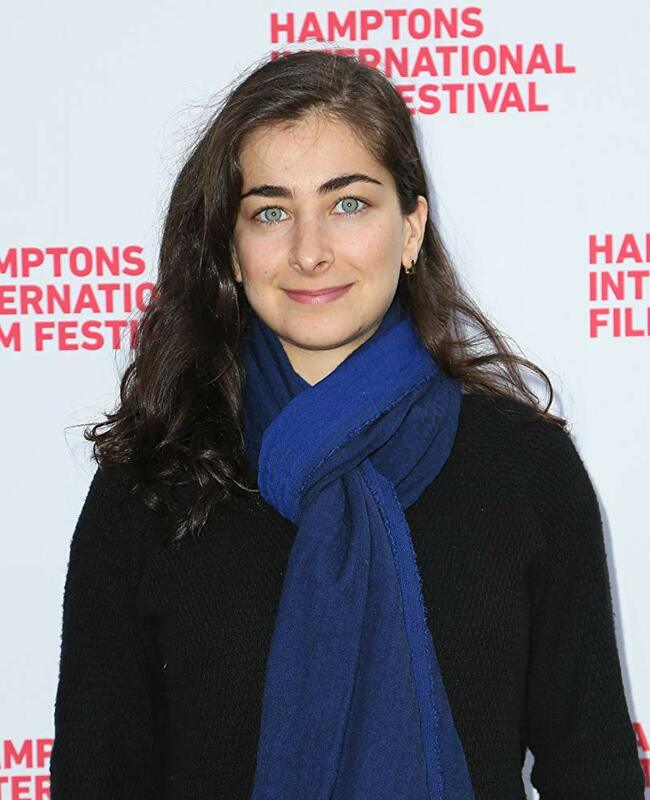 Director Naghmeh Shirkhan’s MAKI just won her the best director award at CHELSEA FILM FESTIVAL. She was the ONLY female director to have a feature film showing at this year's festival. Set in the heart of New York City, MAKI is a modern love story with a dark twist, depicting a young Japanese woman’s coming of age. Maki (Naomi Sundberg) and Tommy (Julian Cihi) can no longer conceal their hidden affair once they learn she's pregnant with his child. Their charismatic and persuasive boss, Mika (Mieko Harada) steps in and takes control. The story unsettles as it unfolds, revealing each character’s true intent. Born in Iran, Naghmeh Shirkhan moved to America with her family a year before the Islamic Revolution. Her father returned to Tehran in the hopes of resuming his career, while the rapidly ensuing Iran-Iraq war prompted her young mother to remain in America indefinitely. The immigrant experience of separation, displacement, and the struggles of starting anew are major themes in Naghmeh’s work. In 2010 her first arthouse feature, The Neighbor (Hamsayeh), hit the festival circuit to wide critical acclaim. Soon after, she began working on her second feature, Maki. We had a chat with Naghmeh, here are the excerpts. I wanted to make a film about a young woman who finds herself in an untenable situation with nowhere to turn. I was influenced by Les liaisons dangereuse by Laclos. I also really wanted to try my hand at telling a visually captivating love story that didn’t end in typical Hollywood fashion. The most challenging part of making this film was working on a very tight budget. But then again I’d say that was also one of the really rewarding aspects of making Maki, especially in Manhattan. You can do a lot with the current filmmaking technology and you don’t end up having to sacrifice quality. Another very rewarding thing was working with my talented cast. It was such a diverse cast. We had Japanese and Spanish and Swedish and African American and our crew was equally diverse both in gender and ethnic background. It was a phenomenal group of people. Tell us about your experience at the Chelsea Film Festival. I loved the Chelsea Film Festival. The founders, Ingrid Jean Baptiste and her mother Sonia, took such good care of all the filmmakers and panel moderators. The panels were insightful and informative. The festival feels fresh, youthful and edgy and I loved that. How does being an immigrant affects you as a storyteller? I’m not sure I would have become a filmmaker if I wasn’t an immigrant. I draw a great deal of inspiration from my background and the wanderlust that I developed as I searched for a place to fit it. I found that place in the world of independent filmmaking. Who are your favorite filmmakers and why? My favorite filmmakers are from the French Nouvelle Vague like Godard, Rivette, Varda and Chabrol. French New Wave represented a totally radical way of making and experiencing film. There was also an intimacy and urgency that resonates with audiences even today. They weren’t afraid to take chances and push the medium to a new place. I was also deeply influenced by Japanese filmmakers like Kurosawa, Ozu and Kinoshita. Their use of lenses and the economy with which they could set a scene really influenced my own filmmaking style. My favorite thing about NYC is its energy, and it’s such an international city where people of all ethnicities, races and religions live together and learn from one another. I also love that it’s a Mecca for international art and cinema. My least favorite thing is probably the insane amount of traffic these days. It makes shooting a car scene that much harder! You can listen to the full chat/podcast of our conversation with Naghmeh below (updated 10/31). New York City circa 1977 in director Todd Haynes’s terrific new film “Wonderstruck”. The film made its New York debut at NYFF55 and will open—in select theaters—on October 20.
puzzling clue in his mother's room, and Rose reads an enticing headline in the newspaper, both children set out alone on desperate quests to find what they are missing. artwork–Wonderstruck is a stunning achievement from a uniquely gifted artist and visionary. a recent event that occurred during a freak thunderstorm. feature film "Custody" with Viola Davis and Ellen Burstyn. He also took audiences and critics by surprise playing the role of the young gangster Rafe in "The Get Down”. Here’s what Jaden Michael has to share about his role in Todd Haynes’s “Wonderstruck”. Q: Tell me a little bit about your character. He’s an Afro-Latino kid, right? meets Ben (Oakes Fegley) and helps him out with his journey. Q: Any challenges working on the set? “The Get Down” and that musical drama was also set in the 1970s. Continuing the "tradition" of screening the Conjuring films, the Los Angeles Film Festival had a special screening of the second movie in the franchise, The Conjuring-2, at the TCL Chinese Theatre in Hollywood. The star studded screening was attended by the cast including Patrick Wilson, Vera Fermiga, the producers and the director James Wan. Also in presence were the real family, on who the film is based on. After a welcome and introduction from Stephanie Allain (president of the LA film festival), the producers brought the director James Wan on stage. He introduced the movie stating how excited he was to return back to his love, horror films (he directed Furious 7 earlier). And how he wanted this movie to be different, but real, inspiring from the last Conjuring film. We also talked to Patrick Wilson he shared his excitement about the film, and his role. A fun fact - He's an East Coater, and our neighbor from Montclair, NJ. He gave his love to us East Coasters! So, what makes The Conjuring movies more scary, is the fact that they are based on supposedly true stories. It raises the stakes for most people. So we see test after 7 yrs from the first film, Ed and Lorraine Warren, who are almost struggling to continue in their profession. People do not believe them, Lorraine is having demonic visions which are pushing her to stop. But they still want to keep helping people in need. This leads them to Enfield in London, where a family needs there help. The Church asks them to go investigate, and find out if it's true or a hoax. The house in this family seems possessed, terrorising the 3 kids and their single mother. But it's not sure if is real or made-up by the kid. Or if is just a spirit, or something a lot more dangerous. The stakes get higher and the drama gets bigger! It's good to see the Ed & Lorraine team back, and they are back in action. There is interesting drama there as well. Both Patrick & Vera give wonderful performances and make their characters believable. Frances O'Connor makes the role of a scared single mother, very beilievable. Madison Wolfe is amazing and the other kids give a brilliant performance. The movie is well cast with good performances. But the true magic is in direction, camera work and the sound-music. James Wan, returning to the franchise, keeps the movie fresh. It's not your usual jump cuts, jumpy music, shocks, and makeups etc etc. This movie keeps it real. Emotions are strong, camera zooms in & out smoothly, and no sudden loud noises to scare you. Instead, the movie builds its tension through great scenes and amazing scenery. The editing could be little tighter at places, and the first half seems to stretch a little. But for the most part, James has kept the movie moving, building tension and concern for characters, culminating the story to an appropriate climax. SO... If you are not into horror or scary film, you may stay away from this movie. But if you are into horror and scary films you should definitely watch it!